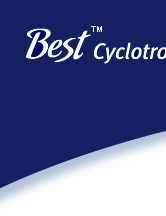 TeamBest®, through Best Cyclotron Systems, Inc. (BCSI), offers radioisotopes and production capabilities for nuclear medicine and radiotherapy with its range of cyclotron systems. BCSI’s mission is to create technology to provide healthcare options for various needs around the world. Our staff assists from the planning stage, detailed design, facility construction, daily production, maintenance and emergency repair through the TeamBest® network. We provide solutions for PET-CT and molecular imaging radiopharmaceuticals with the same excellent customized care as demonstrated in our 40+ year history of radiotherapy support. TeamBest® provides a system that fits the needs of every customer. We offer a turnkey solution — not only the cyclotron, but also targets, automated radiochemistry, infrastructure, operations and maintenance support. As consistent supplies of radioisotopes become more uncertain, particularly for reactor-supplied isotopes, the Best family of cyclotrons provides a Total Solution™ for the medical community with less dependence on unreliable sources. Click here to read about the owner (PDF document). BCSI produces cyclotron systems and participates in new accelerator-based medical radioisotope research and development. 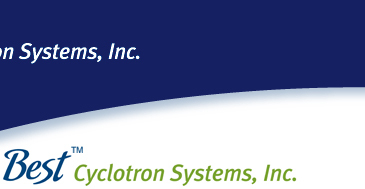 Our Best cyclotron systems are accessible and functional. BCSI welcomes skilled engineers and scientists who can contribute to molecular imaging and therapy systems. Please click the "Careers" link (left) to apply.